Prince of Wales Hotel Waterton is a historic lodge light-years away from reality. Learn the history of Prince of Wales Hotel in Alberta and why families love sleeping here. The Prince of Wales Hotel Waterton is actually across the US/Canadian border in southern Alberta, Canada. 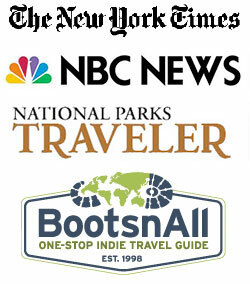 It’s located in the Waterton National Park of Waterton-Glacier International Peace Park. Did you know that Glacier National Park spans what is probably the longest, undefended International Border in the world? Thanks to the negotiating skills and common sense of the Rotary Club members in both Alberta and Montana, it was agreed to make the two adjoining national park areas one administrative area in 1932, and so the Waterton-Glacier International Peace Park was formed. The Prince of Wales Hotel in Alberta was built later than most of the other hotels in Glacier National Park, mainly because it took 13 years to lease the land from the Canadian Government! It stands looking down on Waterton Lake, surrounded by stunning mountain scenery. The history of the Prince of Wales Hotel and its construction is quite amusing. Louis Hill, the President of the Great Northern Railroad, chose the site and planned to build a hotel similar to the Many Glacier Hotel with around 300 rooms in a 3-story building. Evidently his ideas changed as the work progressed, resulting in the delightful Prince of Wales Hotel Waterton as it stands today. The authentic, 6-story chalet hotel with just 86 rooms was finally completed in 1927 and named after Prince Edward, the Prince of Wales who later became King Edward VIII. Unfortunately the hotel was only open for 6 years before it closed for the Great Depression. Reopened in 1936, the Prince of Wales Hotel, Alberta closed again in 1941 due to World War 2. The uncertain operating history of the Prince of Wales Hotel finally ended when it reopened in 1946 and it has been catering for visiting guests ever since. I know from personal experience that the building actually sways in high winds, which is a terrifying feeling, but the cables that anchor it from the roof to the foundations have certainly stood the test of time! 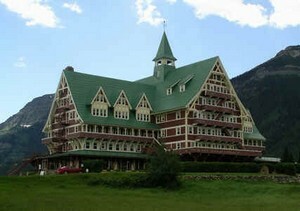 The Prince of Wales Hotel in Alberta became a National Historic Site of Canada in 1992. The comfortable, rustic Prince of Wales Hotel in Alberta is in a picture-perfect setting at the north end of Waterton Lake. Unfortunately it is not suitable for handicapped guests and the antique elevator only serves a limited number of rooms on the 2nd to 4th floors. The smaller and cheaper rooms are on the higher levels and do not enjoy the wonderful mountain and lake views, which are well worth the extra money. My choice would be a suite with a king bed, balcony, sitting room and even its own bar! All rooms have an alarm clock, super topper mattress cover, telephone, complimentary toiletries and a turn-down service with a yummy chocolate bar on the pillow. Like other Glacier National Park lodges, rooms do not have bathtubs, coffee makers, radio, internet, TV, air-conditioning or refrigerators, just like in the 1930s when it was built! However, energy efficient lighting is used and recycling is encouraged in this eco-friendly hotel. Dine in style from breakfast to dinner in the Royal Stewart Dining Room, which also serves Canadian micro-brewed beer and a choice of wines. Afternoon tea at Valerie’s Tea Room draws visitors from miles around with excellent lake and mountain views. The Prince of Wales Hotel Waterton also has a Lounge bar and a gift shop where novel gifts with Canadian themes are a popular choice. 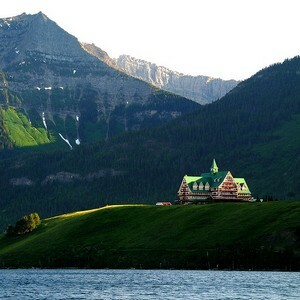 Have you stayed at the Prince of Wales Hotel, Waterton? Share your experience here!